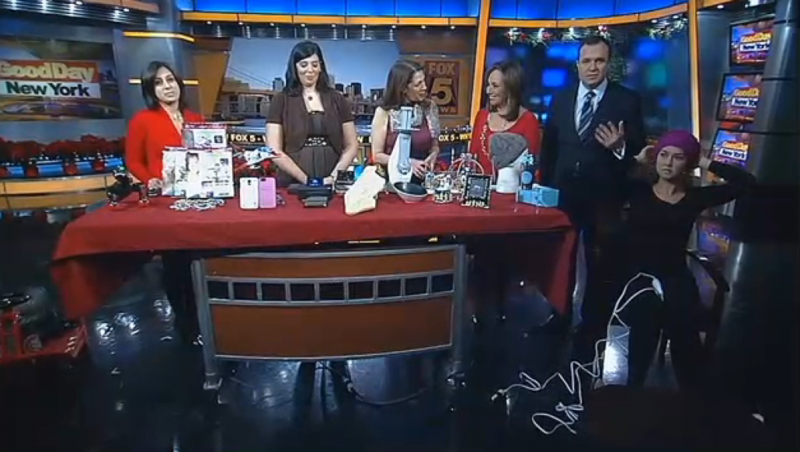 Congratulations to our Client Peekaboos Ponytail Hats for their feature on Good Day New York! Got a ponytail? Peekaboos hats are designed to let your hair hang out. These adorable knit hats feature hidden holes in the back for your ponytail to peek right through so you can keep your head warm and your hair pretty. The Classic Cable ponytail hat offers multiple openings for ponytails, hidden inside a cable knit twist. Â The openings allow for wearing a high ponytail or low ponytail. Â Because the openings are well hidden, Peekaboos hats also look great when wearing your hair down. Peekaboo ponytail hats are a must-have for hassle-free Fall, Winter, and Spring days. Â See you in a Peekaboos! Check them out atÂ peekaboos-hats.com!